A Q&A with Chubbies Shorts co-founder Kyle Hency. The San Francisco-based startup, which designs and sells men’s shorts, announced the completion of a $4 million venture funding round earlier this month led by J. Christopher Burch, co-founder of women’s fashion accessories company Tory Burch, through Burch Creative Capital. Other investors include Rothenberg Ventures, Brian Spaly, Bob Hall, IDG Ventures USA, Ben Lerer and Blair Lambert. It was founded in 2011 by Hency, Tom Montgomery, Preston Rutherford and Rainer Castillo. SUB: Please describe Chubbies and your primary innovation. Hency: Chubbies is an American menswear brand revolutionizing shorts. We’re the first brand to wholly own the shorts market. Chubbies was created out of a true passion for shorts and the weekend. We are proud to be an American-made brand, committed to manufacturing all our products domestically and keeping jobs in the U.S.
Hency: Our primary markets are the Southeast and coastal cities, although we have customers widely spread all over the nation that proudly sport Chubbies. Our target customer is between 15-and-30 years old, and all about the weekend and everything that stands for—letting go of stress and living to the fullest. SUB: Who do you consider to be your competition, and what differentiates Chubbies from the competition? Hency: We see ourselves in a category of our own as we are the first company to own the shorts category. 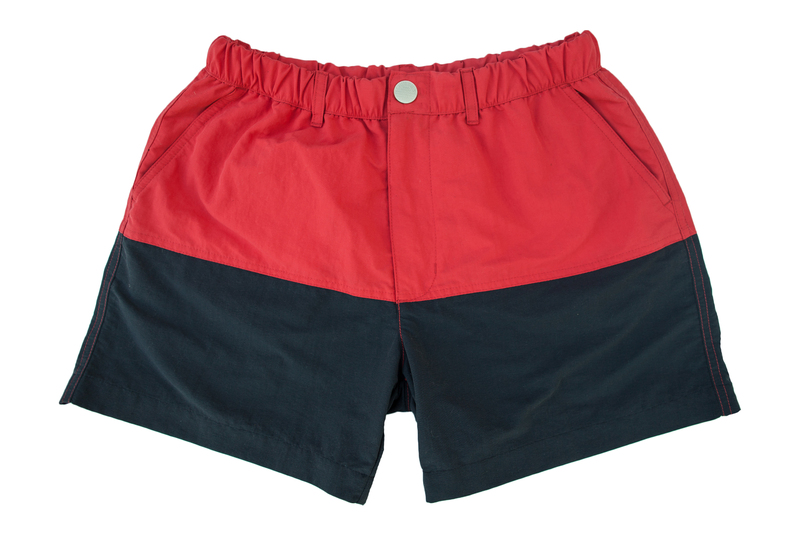 Our product is comfortable, flexible, and well-made—everything a short should be and more. The Chubbies experience differs from the competition as we ensure the entire process is positive and fun for our customer. We offer free shipping and free returns, and actual humans answer our customer service line to help with issues and inquiries. SUB: You just announced that you’ve raised $4 million in new funding. Why was this a particularly good time to raise outside funding? Hency: We found the exact right set of advisors to support us in building Chubbies into the massive lifestyle brand we envision. With this round we are looking to explore continued product development, investment in incremental inventory, experimentation with more experiential marketing initiatives, as well as mobile engagement within our target markets. Hency: We are using the current round of capital to build out our brand experience and community through impactful marketing events and exciting new products. This is our first round of fundraising and we hope to build a massive, emotional brand that is self-sufficient over time. SUB: What was the inspiration behind the idea for Chubbies? Was there an ‘aha’ moment, or was the idea more gradual in developing? Hency: In 2011, we created matching, patriotic gear for our friends to wear during our annual 4th of July trip to Lake Tahoe. The designs were retro-inspired shorts with stars-and-stripes trim, and were a hit both by our friends and total strangers on the beach. Luckily, we had made extras, and ended up selling every last piece out of our backpacks. People were particularly excited about the shorts, as it had been a while since they’d seen that style on the market. The idea for Chubbies was born. Hency: Throughout the next year, we went through numerous product iterations, researched local manufacturers, and began making shorts in limited runs. In the beginning, we were exclusively selling to our friends while we perfected what would ultimately become the Chubbies short, all the while still working our day jobs. We set up a website where we could sell the shorts direct-to-consumer, and in September, 2011, Chubbies officially launched. Hency: The name carries a sense of humor that is intrinsic to our lighthearted and carefree brand. Chubbies is a brand built for every beer drinking animal out there that doesn’t want to get up in the middle of Monday Night Football and go change shorts because he just ate two pounds of chicken wings. The word ‘Chubbies’ is quickly becoming synonymous with radical shorts, just the way we planned it. Hency: By far, our largest challenge has been making enough Chubbies to satisfy the world. I know what you’re thinking: “I bet you work too hard,” and “care too much for your own good,” but we spent the first year or two completely out of stock and are finally at a place where we can safely get anyone who comes to our site the perfect pair of party shorts for their weekend. Hency: We are proud to be a profitable business that generates revenue from our direct-to-consumer model. We source the best fabrics from around the world and manufacture each pair of Chubbies domestically, ensuring quality and comfort with a classically retro 5.5” inseam, all for around $59.50. SUB: What are your goals for Chubbies over the next year or so? Hency: We created Chubbies to emulate an authentic masculinity and define a carefree, weekend mentality for a new generation of young men. We will continue to reflect this ethos in everything we do and outfit the ‘Chubster Nation’ in the most radical shorts on the planet. We eventually plan to grow the brand experience to encompass all aspects of the weekend so our customers can focus on crushing life Friday through Sunday.